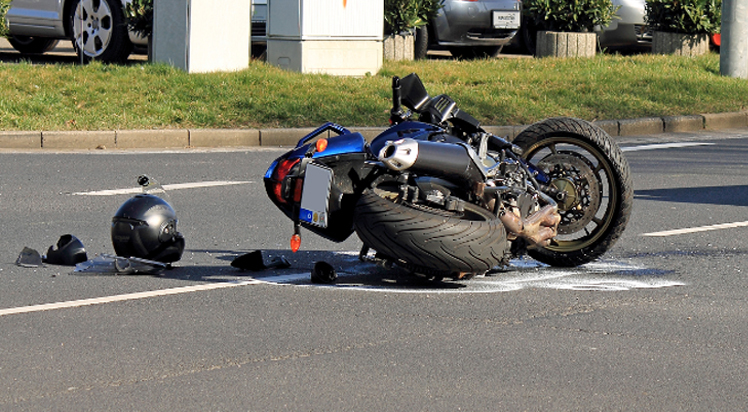 Motorcycle accidents cause some of the most serious and disabling injuries of any vehicle crash. Even a small mishap on the roadway can produce painful, permanent, and sometimes life-threatening physical problems for motorcycle enthusiasts. Many people do not fully appreciate just how vulnerable motorcyclists and their passengers are on the highway. Other drivers can be inattentive, distracted, or can violate traffic laws, putting motorcycle riders and their passengers at risk. We understand what you are going through and we are available to help ensure that those who are negligent or reckless on the road pay for their mistakes. Get your free motorcycle injury legal consultation and compensation estimate today, call us at 602-975-5550 immediately. Failure to Yield. Failure of other drivers to yield to an oncoming motorcycle is a frequent cause of motorcycle accidents. For example, a motorist making a left turn in front of an oncoming motorcycle can be disastrous for the rider. There are many reasons why these accidents occur, simple driver inattention being the leading cause. Tailgating. Drivers who follow another vehicle too closely are being careless and dangerous. Following too closely can make it difficult or impossible for cars or trucks to stop for an emergency, a pedestrian, stop-and-go traffic, a traffic light, or many other situations. Because these drivers do not have sufficient time to apply the brakes to avoid collision, they will often collide with the vehicle in front of them when they stop. This may only cause minor physical damage to another car or truck, but when a vehicle strikes your motorcycle from the back it can result in much greater serious injury and property damage. Improper Lane Changes. Many automobile drivers do not pay proper attention when they drive down the roadway, including while changing lanes. Failing to signal, failing to look in the side-view or rear-view mirrors, failing to properly adjust the side-view mirror, failing to account for the existence of a blind spot, or simply failing to pay attention can lead to traffic accidents. Even in situations where a collision is avoided, a driver improperly changing lanes or driving erratically could cause a motorcyclist to take a major spill while attempting to avoid a crash. These are only a few examples; there is no limit to the number of situations in which the inattention or negligence of a driver can directly result in injuries to those riding motorcycles. Whatever the cause of your accident, you need a Phoenix motorcycle accident lawyer who knows what it takes to establish convincingly that another driver, not the motorcyclist, was at fault. What should I do if I was involved in a motorcycle accident? The most important thing you can do is contact a professional motorcycle accident lawyer who can review the details of your case and determine the best course of action for moving forward with your claim. If you are contacted by the other driver’s insurance company prior to retaining legal representation, you must remember that you are under no obligation to disclose any information to the insurer. Anything you say might be interpreted as an admittance of fault that could later be used against you; it is always best to leave all communications with the other insurance company for the attorney representing your case. If possible, take photos of any injuries you or your passenger received, and any damage to your motorcycle. Keep copies of any medical records or bills, and make records of any related expenses. You should plan on bringing these documents to your attorney for review. How much will it cost me to hire a personal injury attorney for my motorcycle accident case? Motorcycle injury cases are typically paid for based on a contingency fee. You pay nothing up front and if your case settles, the attorney is paid a percentage of your settlement. This fee varies based on a number of circumstances involved with the case. For your free case evaluation, call us now at 602-975-5550. Regardless of the apparent severity of your injuries it is advisable to consult an attorney after a motorcycle accident. Some injuries due to motorcycle accidents can go undetected for quite some time. After an accident it is important that you seek medical attention; you can discuss your physician’s evaluation with us and we will help you determine the best course of action. Any payment you receive in a motorcycle accident insurance claim represents a financial loss for the insurance companies; they will do their best to deny or minimize your claim, even if the accident occurred as a result of another’s negligence. After any accident it is advisable to discuss the details of your claim with an experienced attorney, one who knows how to deal with insurance companies to ensure that you receive the full compensation to which you are entitled. Do I need an attorney in order to file a claim? Any victim of a motorcycle accident is legally permitted to file a claim for his or her injuries and property damage. An attorney is not required for the completion of the claims filing process but having legal representation on your side can make your efforts significantly more successful. After you have seen a physician, call Lebovitz Law Group at 602-975-5550 for your free consultation so that we can begin fighting for you. Hiring an experienced personal injury attorney is important in any case where you have suffered injuries but attorneys experienced in your specific type of injury case will serve your interests much better. In motorcycle injury cases there are special circumstances you will face that are not typical for all traffic accidents. Lebovitz Law Group knows how to deal with the issues that arise in motorcycle cases and will help you navigate through. The first challenge that many who are injured have to face is prejudice that exists towards motorcycle enthusiasts. Some of the inaccurate and offensive views you might be up against include the assumption that all those who ride motorcycles are daredevils, or that your own reckless behavior caused your injuries. Others may believe that all motorcyclists are outlaw bikers. When your case is presented to a jury you will need an attorney who understands that these prejudices exist, and who knows how to overcome or neutralize these preconceived and inaccurate notions. How people should react when presented with different situations. How extensive injuries could have occurred as a result of what might otherwise appear to have been a minor accident. Unless a jury understands these core issues it may be difficult for the jurors to come an accurate conclusion as to who was at fault in your case and/or set the appropriate amount of compensation for your injuries. Trauma involving the head and brain. Back injuries, including the spinal cord. Injuries can leave you with disabilities that affect every aspect of your life. Pain, suffering, lost wages, medical expenses, and other losses can be astronomical and can continue for years – sometimes for life. Among the more serious of these are brain injuries. These can occur even when you are wearing a helmet and can cause devastating consequences for the rest of your life. Spinal cord injuries, also extremely serious, can lead to paralysis. Even where there are soft-tissue injuries the result can be severe pain, restricted movement, and medical bills for conditions that were not immediately apparent following your accident. When you have been hurt due to the negligence of another person you are entitled to full and fair compensation for your injuries. If you attempt to proceed on your own, without an attorney, you are risking a settlement that will leave you short changed when it comes to your medical bills, lost wages, and compensation for your pain and suffering. Lebovitz Law Group goes beyond the call of service.